Restaurant kitchens rely on the restaurant supply superstore to provide them with powerful, heavy duty degreasers to cut through the grease and grime and keep their cooking equipment in top condition. We have every kind of foodservice degreaser you could possible need including non butyl, disinfecting and other degreasers. You can choose from top brands like Easy Off, Dawn, Regency, Formula 409 and whistle. Discovery Carbon Off Liquid Degreaser - 1 Gal. Clorox Commercial Solutions 409 Heavy Duty Degreaser Cleaner - 32 Oz. Clorox Commercial Solutions 409 Disinfectant Degreaser Cleaner - 128 Oz. Clorox Degreaser Commercial Solutions 409 Disinfectant Cleaner - 32 Oz. Discovery Carbon Off Aerosol Degreaser - 19 Oz. Discovery Carbon Off Aerosol Degreaser 19 Oz. Discovery Carbon Off Degreaser Aerosol - 19 Oz. Discovery Carbon Off Liquid Degreaser 1 Gal. Discovery Carbon Off Liquid Degreaser - 1 Qt. 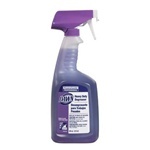 Procter and Gamble DCT Heavy Duty Degreaser Cleaner - 1 Gal. Procter and Gamble Dawn Heavy Duty Degreaser - 1 Gal. 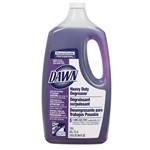 Procter and Gamble Dawn Heavy Duty Degreaser - 64 Oz. 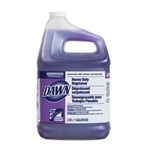 Procter and Gamble Dawn Heavy Duty Degreaser - 32 Oz. U.S.C. Speedy Degreaser Cleaner Liquid - 1 Gal. U.S.C. Mixmate All Purpose Degreaser Cleaner - 1 Gal. U.S.C. Enterprise General Purpose Heavy Duty Degreaser Cleaner 1 Gal. Tuf Duty Degreaser - 1 Gal. Multi Purpose Professional Cleaner and Degreaser - 32 Oz. J-Works Strata Non Butyl Cleaner Degreaser - 1 Gal. Suma Kitchen Degreaser Spray Bottle Plastic - 32 Oz. Wholesale commercial Degreasers for your restaurant and business. Keep your kitchen and equipment greaseless, clean and sanitary.